Forgetting or losing your key is such an easy mistake to make that it is no wonder we receive many calls from customers who need to gain access to their property fast. 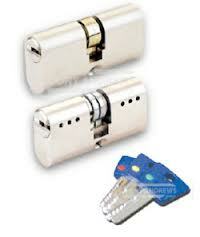 We have experience in opening every type of lock, door, window, gate, safe or mechanism that requires access. We offer a 24 hour service all year around and make sure we can offer the best rates in the area. Professional, fast and fair. That’s why Bristol chooses expert locksmith Bristol. On our mission to make the town and your day to day life a safer and more secure place to exist, the lovely guys here are ready to assist you in choosing the best route forward when it comes to home security alarm systems. In the present, on many minds there are thoughts on keeping safe at home and at work. Something your locksmith service are happy to see, as we believe it a necessary thing today, especially since the industry market has nothing short of boomed, making security available and affordable to all. As with products of all kinds, security feature products come in different forms and of course in different levels of quality, and if you are struggling with the vast amount of options out there now, you may do well in speaking to your helpful locksmiths service before making your choice. On top of that, the staff here can help you all the way from choosing the right equipment for your situation, to installation and use. Here we never leave you in the dark, and with competitive quotes and great deals on tried, tested and trusted security alarms you can rest assured that your needs will be fulfilled. 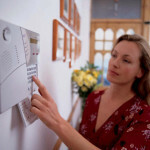 Home security installation and alarm features is only part of what the constantly working locksmiths can help you with, and from daily needs for spare key cuts, lock repairs and much more, all the way to full fledged high security alarm and monitoring systems is what you will have at your disposal with this great and customer service directed workers. Call now to speak with your local locksmith service expert and find the security you’ve been missing installed, quickly and simply. You don’t remain floating within this industry for long if you are not skilled with what you are doing, and should you manage to keep afloat, then it’s also inevitable, should you spend as much time as the guys and girls here has done with it, that you learn a thing or two. Spending the majority of our time with customers, understanding their needs, practising repairs, installations and other work you can trust this locksmiths service to know what they are doing. With years of training and experience in the bag in both home security and business security situations, coupled with the diligent nature of our industry market surveillance, you will not find a better candidate to help you with your security. Call not to find out more about security and to take the first step in ensuring that you have in place, for your home or your office or workplace, the protection needed. Having a chat with the friendly and hardworking locksmiths service is easy, we always see this from your side, keep away from jargon and industry based terms to ensure that our customers understand us, as we understand them and their security needs. Great service, great prices and great skill is what you find all under one common roof here, and the only way which a great locksmiths can provide all of these things, is to be passionate about their job and to hold genuine care for people and customers. This is something that we practice on a daily basis, and by keeping a flexible service, keeping ourselves on our toes, and by keeping on the training and practice we can safely say. Should you pick this lovely locksmith to have your needs fulfilled you will not regret it, feel free to call now. One of the top rated things for home improvement today is that of the security system you have installed, and with good reason. Your security locksmiths are familiar with the threats existing in the current climate of any living scenario, and a home monitoring system is something which we highly recommend to get installed. This simply as a CCTV camera, even a realistically looking fake one is known to be one of the highest intruder deterrents currently available. Being caught on camera is the last thing any burglar or intruder wishes for, making a home security monitoring system one of the most solid investments you can make for your home security situation. If this is something you are having thoughts about, feel free to get in touch with your Bristol alarm systems expert and installer today, we can not only help you find the suiting system for you, but ensure that installation is done property. On top of that, we are known for our quick turnaround, our professionalism in installation and for our great customer service, so we can have you up and running, more security and safer than ever before by the end of the day if you would like to. The wide range of high quality and up to date security systems stocked and ready for installation you can find here are suitable and affordable for a wide range of homes and a wide range of budgets. Of course if you are searching for a custom made solution, you can also speak to one of our experts at any time. Give us a call and book in for a Bristol security inspection, and ensure that you have all your security bases covered at home today. Appointments are available all day, and if you are in need of an out of hours appointment due to your schedule, our staff is flexible and accommodation. So don’t wait, get in touch and let us help you make your home a safer one today. If your mind is currently at work thinking about your home security, why leave it in ponder, why not get in touch with a Bristol security expert who can help you find the best way for your home security to improve and get to the point where you can rest safe and sound at night. Currently many homes in the UK stand unprotected against very real and very existing threats, and all that stands between you and a bad scenario may just be chance. With this it is not our intention to frighten you, just to put out that warning which may bring you to take action and ensure that your home and your family is secure in the day to day life. Similarly if you are having thoughts about the security of your business or place of work, why not speak to your most dedicated Bristol service and ensure that all your bases are covered. Having up to date security for your business will also provide the financial safety that you as a business owner should have. Finding a good security solution for your business, that is suiting, making access for those who need it easy and streamlined to the day to day running of the business is something that your locksmiths service can also help with. On top of that, for your home or for you business, providing proper security is not something that has to break the bank, speaking to your locksmiths, here you will be able to find out how you can provide the best most applicable security which suits your home, your business and your budget, so don’t hesitate to get in touch today! The most vital part of any security situation, be it at home or be it at work is simply and commonly known, the locks that you put on your doors. This may be obvious, however what your locksmith service knows is much less obvious, at least to the untrained eye, is simply to know what constitutes a good lock. In the current times, and with technological advancements taking giant steps in every area, of course the security industry being no different, it can be highly confusing should you find yourself on the market for a new lock. Getting in touch with your locksmith service you will be sure to find the expertise needed to be able to locate just what you need, and if you book in for a security Bristol lock check, you will also be able to find out where you need to place them. Of course supplying only high quality products, the which are also installed professionally and in a timely manner is something that you can leave to this trusted locksmiths. Getting a good lock on all your doors installed is of course of the highest importance for your homes security integrity, but your Bristol service can also ensure that all your window locks and the locks for your outdoor structures are up to the highest standard, providing you with the protection that you need. Calling your locksmiths service will ensure that you speak to an experience professional who knows what makes a good lock, including what makes a secure lock installation, and where to place it to keep you as safe as possible. If you have any questions, feel free to give us a call today. 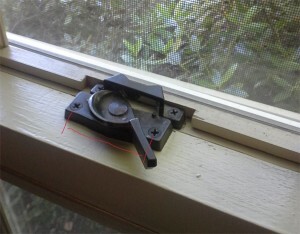 Window security is not something that naturally or often enters the mind when one things about home security. This is the reason to why the work group here would like to emphasise the importance of it. After all, it is the second point of entry after the doors. So if you are unsure of what is required when it comes to your windows, why not get in touch with your trusted Bristol expert. We can help you ensure that the locks on your windows are of the standard required, and if you need help installation or choice of new locks you can leave it to us. This is of course true for the locks on your doors as well, and you can feel free to call at any time. All locks that we have here are of the highest standards, both in strength and with professional installation you can be sure that you are properly protected. Prices are always kept at competitive, and installations can always be performed at times which are suited to you. 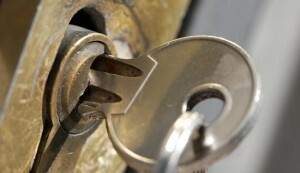 So get in touch with your locksmith expert and leave your security requirements and needs to us. Should you be interested in any other security products or need advice on other areas of your security, at home or at work ours is also the number to call. We can help anyone with their home or business security, with improvements and upgrades or with completely new installations, and with a long history of happy customers you can trust any and all of your security needs to us. 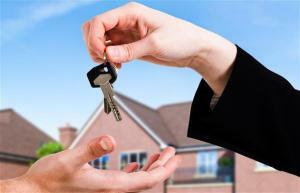 If you are in need of getting spare keys cut, then chose the best service around. 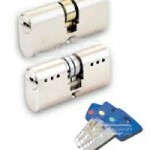 For quality keys which are durable and will last you key turn after key turn. With a customer focused service always ready when you need it, you can find key cutting at a time suiting to you. To a locksmiths who knows the value of convenience it’s a must to keep all common key types in stock, ensuring that your extra keys can be provided to you when required. On top of that, the skill and the tools required for a perfect cut every time can be found here. Quality is something we place as a top priority, and down to every service we provide, a guarantee for durability is self-evident. 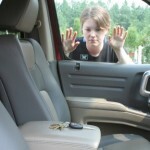 A locksmith service who knows are of course also able to provide for any key cutting needs. Meaning that should you be one to have a custom lock and key fit at home or at your business premises, what you need can be found here as well. Speak to one of our highly trained lads in advance, and we can order what is required, or give you the tip of where to go should we lack the hardware for the job here. However, the vast majority of jobs can be performed swiftly and easily by an expert on demand. For any questions that may be lingering in your mind with regards to key cutting, you can always speak to a locksmith service who knows to find the answers you need. So get in touch today if you have something that you need. If you are in need of getting new locks installed, why not get in touch with one of the finest locksmith services this city has to offer. With years of experience with lock installations of a range of different kinds, we here are quick, accurate and perform precision work at a time suiting to your schedule. If you are one of the new fortunate home owners today, something that this locksmith provider would like to recommend is of course having completely new locks fitted, as to ensure that the only key holder to your property is you. The second thing that we would like to bring up, is to make sure that you also make sure that the locks on the windows, perhaps your garage and your outdoor structures are up to date. As these are clear indicators of how well protected your home is. And should you have poor protection in visible areas it may lower your security standard at home, and your home may become more likely to become the target of a burglar. Should you be interested in booking in for a security survey with an experienced security inspector, please feel free to get in touch and book in a time good for you. This also something that which we would recommend for any new home, as it will help you identify any direct security threats and eliminate them before it’s too late. If you are unsure of anything with regards to your locks at home, please call us at any time and discuss your concerns with a locksmith service who holds expertise, experience and comes recommended by their customers. 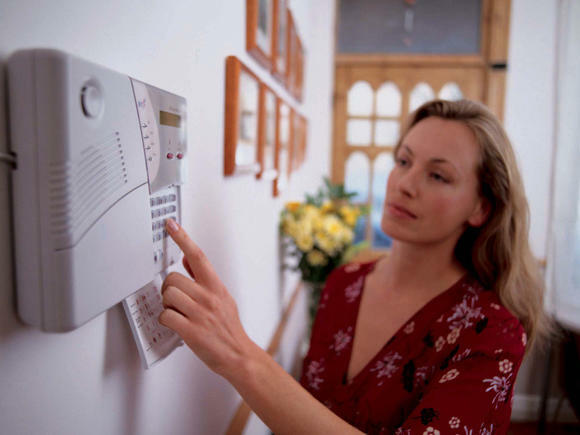 A visible alarm system acts as a powerful deterrent to potential intruders of residential and commercial properties. At Locksmiths Bristol we have seen a growing trend towards homeowners installing alarm systems. We understand that no two properties and their owners’ requirements are the same. We can supply and fit many types of alarm systems within just a few days. Our ready-to-go options include: alarms which ring aloud, alarms which dial one several phone numbers, wireless and wired options. 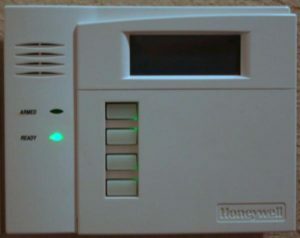 The alarm type to suit your property will depend upon your properties’ location and other security levels. We have many years built up a vast depth of knowledge and can jargon-bust for your and advise what will be best to suit your budgets and requirements. We understand that in selecting an installer of your home alarm system the customer must feel he or she can place utmost trust in their chosen security worker. We have a fully security-vetted staff and is happy to provide references upon request. Whilst some security problems are evident, often people have security vulnerabilities in their properties that they know nothing about. 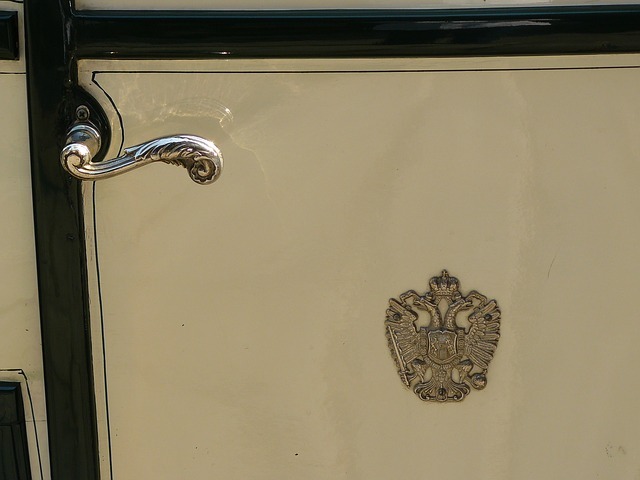 Visit our locksmith Sheffield by clicking on the image to the left. We are sad to say that you can guarantee that the potential intruder will quickly figure out the location of such vulnerabilities and will exploit them to your expensive and distressing disadvantage. We can help you avoid such a situation. Contact us today to arrange a thorough security inspection of your property. A highly-trained and experienced member of the Locksmiths will assess all access points to your property as well as other potential security issues, such as the storage of ladders and tools in unlocked sheds, which could be used to access your home. 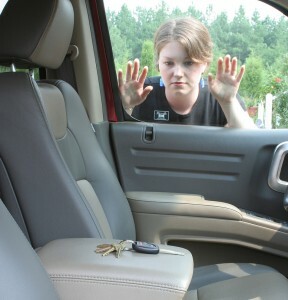 Many such issues can be remedied immediately due to the range of equipment carried on the Locksmiths call-out vans. CCTV systems work as a deterrent to keep potential intruders away from your property. They are a vulnerable tool in the protection of your home or business. We can fit or update CCTV systems on your commercial building, providing the latest technology. We will work with you to assess what is best for your building and budget, ensuring there are no vulnerable bind spots. There is a growing trend towards fitting CCTV systems on the outside of homes. We can provide the more discreet systems suited to this task. Call us to deal with all systems. We regularly installs locking systems of tried-and-tested reputation. Yale locks, mortice deadlocks and rim-locking systems have all stood the test of time as excellent security solutions. However, our locksmith keeps its finger on the pulse regarding the latest technological updates in security. We fit alarm, CCTV, remote locking, and key fob systems. Retinal scanning is an upcoming area of security and we are currently training staff in the installation of such systems.